Wendy R. Uhlmann, MS, CGC, is the genetic counselor/clinic coordinator of the Medical Genetics Clinic at the University of Michigan. She is a Clinical Professor in the Departments of Internal Medicine and Human Genetics and an executive faculty member of the genetic counseling training program. 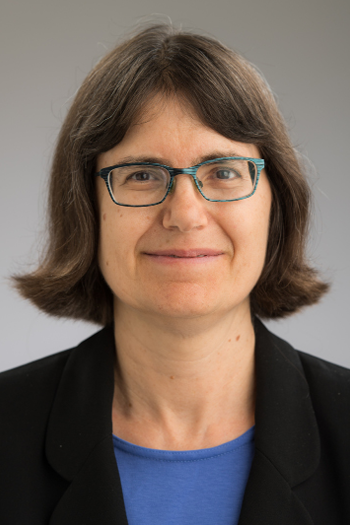 Wendy Uhlmann is a Past President of the National Society of Genetic Counselors and previously served on the Board of Directors of the Genetic Alliance and as NSGC’s liaison to the National Advisory Council for Human Genome Research. Currently she serves on the National Academies of Sciences, Engineering and Medicine, Genomics and Population Health Action Collaborative (GPHAC), Population Screening Committee, the Clinical Genome Resource (ClinGen) CADRe (Consent and Disclosure Recommendations) Working Group, the Scientific Advisory Board of the Michigan Biotrust, and on the Editorial Board of the Journal of Genetic Counseling. She co-edited the book “A Guide to Genetic Counseling,” which is used internationally in genetic counseling graduate programs. Wendy Uhlmann was the recipient of NSGC’s Regional Leadership Award in 1996, the Outstanding Volunteer Award in 2009, and the Natalie Weissberger Paul Lifetime Achievement Award in 2011. View all Wendy Uhlmann's publications in PubMed.